Volkswagen Golf review - the ultimate family hatchback? There are some cars that define the class in which they compete, having been the go-to choice for so long that it takes a conscious decision to go elsewhere. The Porsche 911 is one. The Ford Fiesta, Britain’s best-selling car, is another. But arguably the model that best defines the class it sits in is the Volkswagen Golf. Now in its seventh generation and having enjoyed a fairly comprehensive overhaul in the last couple of years, the Golf has been making customers’ family car shortlists for decades, and for good reason. Perhaps most importantly, and down in no small part to the Golf itself, VW has made its cornerstone product aspirational, so while it might compete on a fairly even keel with the Ford Focusand Vauxhall Astras of the world, it’s seen as more desirable right off the bat. It’s as close as a car in this segment gets to being a classless car, feeling at home whether you’re parking outside a flash restaurant or taking bags of waste to a recycling centre. It also gets fairly close to nailing every other brief you’d expect of a car in this class. It’s not adventurously-styled but it’s certainly handsome, there are a wide range of models to appeal to most tastes and budgets, most models perform well, it’s comfortable, spacious and classy inside, and as an added bonus, the desirability factor keeps depreciation low. Is it perfect? Not from an evo perspective, as it doesn’t quite fulfil our brief of being thrilling to drive, at least not until you start trading up to the GTIs and Golf Rs of the world, and even then we have preferences in the hot hatchback market. The Dieselgate scandal has also taken the shine of the more frugal models in the Golf range, fuel-efficient though those TDIs remain. But the Golf still engages enough that we’d be happy to recommend it if all you seek is practical family transport. Performance and 0-100 time – VW can’t curry favour with us by naming its 1.5-litre petrol “EVO” but it’s the quickest petrol model short of the GTI, at 8.3sec to 100kph. Similarly-brisk diesels are available, while the GTE is quicker still. Engine and gearbox – There’s a huge range available, from 1-litre turbocharged triples to the potent GTIs and Rs, plus electric and plug-in hybrid versions. The pokier petrols are most fun, but most have merit. Ride and handling – The Golf utilises a talented chassis and good traction. The results make carrying speed an enjoyable, yet comfortable experience. L/100km and running costs – The all-electric e-Golf, plug-in hybrid GTE (1.7L/100km) and diesel-sipping 1.6 TDI (4.1L/100km) are most efficient, but most Golf power units are frugal. Interior and tech – Recent revisions have given higher-end Golfs a fancy Virtual Cockpit-style TFT screen for the driver, lending the Golf an even more upmarket feel than before. Perceived quality in the cabin is very good and the infotainment options easy to use. Design – Gradual evolution has given the Golf a timeless appeal and the new model, while a little boring for some, will undoubtedly age very well indeed. It’s one of the most handsome Golfs since the Mk1 and Mk2. There’s some truth to the Golf being a touch more expensive than its mainstream rivals, but you really can see where your money has been spent. Its build quality inside is on a par with most premium hatchbacks, so it should be considered a rival for its Audi A3 cousin as much as it is for the SEAT Leon. Family hatchback alternatives can be found far and wide. The most obvious contenders are the Ford Focus, Vauxhall Astra, Renault Megane and Peugeot 308, but the Japanese contingent of Honda Civic and Mazda 3 is well worth a look too (the Toyota Auris less so) while Korea fields its own challengers in the form of the Kia Ceed and Hyundai i30. Move upmarket and you’ll find the BMW 1-series and Mercedes-Benz A-class, and more space can be found from the Skoda Octavia – you really are spoiled for choice, though that the Golf is capable of tackling all of these in most areas is a mark of its talents. Golf pricing begins at $24,260, though the rather breathless 84bhp 1.0-litre three-cylinder S you get as a result perhaps isn’t the most desirable option, with its 15-inch steel wheels and basic cloth trim – though you still get air conditioning, a touchscreen media system and a host of safety features. SE models start at $25,950 and bring more power, more options and more kit, while an SE Nav (starting at $26,950) adds, as you may have guessed, satellite navigation. Sporty GT models begin at $30,965, though the 1.6 TDI you get at that price isn’t the most engaging of power units, so the 1.5 TSI (just $190 more) or 2.0 TDI options are probably more appealing here. Extra kit includes unique alloy wheels and sports seats, but stops short of the Golf R-like styling of the R-Line, whose prices begin at $32,000. R-Line seats and a GTI-style steering wheel are the clearest visual indicators inside. Aside from the dedicated sports models, the GTI ($37,660), GTD ($36,790), GTE ($37,835, including Plug-in Car Grant) and R ($43,500), the only other Golf of note is the electric e-Golf, at $43,300. You can apply a $5950 plug-in vehicle grant from the government here, which takes the price down to $37,350. It’s five-door only (five door adds $866 to other models), gets unique exterior styling with aero wheels and C-shaped LED lighting signatures, and features much of the standard kit of other high-end Golfs, such as LED headlights, the most feature-packed infotainment system, and adaptive cruise control. In pure performance terms the Golf heirarchy is R, GTI, GTD, and GTE, with respective 0-100kph times of 4.6sec, 6.4sec, 7.5sec and 7.6sec, and top speeds of 250kph (267kph if you add the $3000 Performance Pack), 248kph, 235kph and 222kph – though as we’re dealing primarily with the humbler models in the Golf range here, we’ll direct you to our full reviews of each of the sportier options for more information on those. Suffice to say, most offer plenty of pace, though the GTD and GTE models are more of an acquired taste in terms of how that performance is delivered. At the other end of the scale, those with a penchant for speed would be advised to stay away from the basic 1.0 TSI and 1.6 TDI, both of which take longer than (an admittedly arbitrary) 10 seconds to reach 100kph, though the 1-litre is pleasant enough to stir along if you don’t mind the overall speed being low. Somewhere in the middle you’ll find the 1.5 TSI EVO, a recently-introduced four-cylinder that powers most of the sub-GTI sporty models in the range. 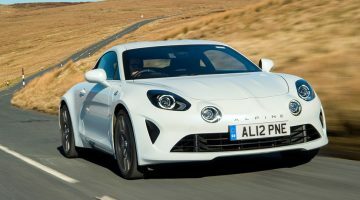 148bhp versions of this model (a 128bhp option is available) can accelerate to 100kph in 8.3sec and have a 215kph top speed, so they aren’t far off the GTE in terms of performance, though in our recent experience with this particular engine it’s not quite as sweet as the old cylinder deactivation 1.4. VW’s most potent diesel (shy of the GTD) is almost as brisk, hitting 100kph in 8.6 seconds from rest, and has a strong surge of mid-range torque to make up for its disinterest in really charging towards the red line. It’s not an engine you’d choose for fun or performance reasons alone, but it’s certainly one that offers good real-world pace and economy as compensation. If economy is the be-all and end-all then the e-Golf deserves your attention. It sits somewhere in the middle in Golf performance terms with a surprisingly nippy 9.6-second 0-100kph sprint (which is a little quicker than prior to its 2018 update), though top speed is limited to 155kph. The joy of such performance is that it’s easy to achieve – pressing your right foot to the floor is about as complicated as it gets – and that you can exercise it with minimal disruption to those around you, thanks to its near-silence. High-speed acceleration isn’t overly impressive, but it’s not hard to imagine an electric Golf gaining a “GT” badge in the future. Ignoring anything with tartan seats and power above 180bhp or so, the Golf still comes with a wide range of power units and different outputs. Broadly, it can be simplified down into the following: a 1-litre three-cylinder petrol, a 1.5-litre four-cylinder petrol, 1.6 and 2.0-litre four-cylinder diesels (all turbocharged) and an electric model with a single electric motor. Thanks to the aforementioned turbocharging, most have respectable power and torque outputs, though models aimed at the lower end of the range look a little under-nourished on paper for a car the size and weight of a Golf. The basic 1.0 TSI makes 84bhp (at 5000rpm, and the same output as the 1.2 petrol it replaces), and 129lb ft of torque. However, if you can stretch to it, then the 108bhp version of this engine feels far less overwhelmed by the Golf’s mass – we’d even go as far as to call it a ‘sprightly’ performer. A 113bhp 1.6-litre TDI is still on sale, developing its power peak at 3250rpm and a useful 184lb ft of torque from only 1500rpm, but the grumbly, torque-biased delivery means it sparkles less than the three-cylinder petrols when you want to use all its performance. It’s not as fun and it’s certainly not as refined. The 1.5 TSI EVO is the middle-ground of the range, but while its 128bhp and 148bhp on-paper power outputs look strong enough, they don’t feel quite as game for a thrashing as the 1.4 litre models they replace. Versions with 128bhp still deliver 148lb ft of torque, though, and the higher-output version ramps that up to 184lb ft at 1500rpm. The 2.0 TDI with 148bhp produces even more torque, albeit at higher revs – 251lb ft at 1750rpm. Predictably there’s a little more rattle than you get with the petrols and a little less willingness to explore higher reaches of the rev counter, but it’s about as effortless as Golf performance gets, and because of this easy performance we’ve actually found it capable of delivering similar economy to the less punchy 1.6 TDI in regular driving. Virtually all UK-bound Golfs are front-wheel drive – only the high-performance R uses all-wheel drive, though some European derivatives do get the option of an extra pair of driven wheels. 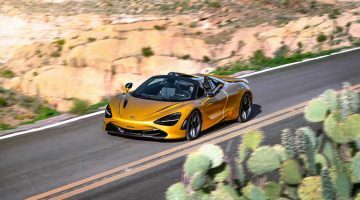 Still, that keeps things nice and simple, as does the choice of either five- or six-speed manual transmissions, or six- and seven-speed dual-clutch transmissions badged DSG. In general, lower-output manual cars will have the five-speed, while the majority of the range gets the 7-speed DSG. Curiously, non Performance Pack GTI’s make do with the older six-speed DSG – every other high performance model gets the seven-speed unit as an option. The odd-one-out in all this is the e-Golf. This uses a single electric motor, still sending power to the front wheels alone, through a reduction gear single-speed transmission. It makes 134bhp, actually putting it among the higher-output conventional Golfs, and puts 214lb ft to the road. Tweaking of the output to prevent rampant wheelspin means this peak torque is quoted at 3000rpm rather than from zero, though for most intents and purposes it’s available as soon as you push the accelerator pedal. As you’d expect from an electric vehicle, it’s smooth, silent and more refined than the VW Group’s W12s. There’s a serenity to the way the Golf goes about its day-to-day business and that’s not just down to the huge refinement on offer, but also the ride quality. The entry-level cars ride with real composure, while GT and R-Line trims gain a lower suspension set up for greater agility. There’s little trade-off in ride comfort with the more taut set-up, but it adds more incisive response to steering input and it’s a long way from being uncomfortable. The steering itself offers good weighting, though however nice the wheel itself might feel in your hands, that’s down to the quality of the materials it’s made of rather than any useful information at the rim. That’s a complaint that can also be levelled at the majority of the Golf’s rivals, though. Live with it a while and it’s quickly apparent that for all the Golf’s somewhat also-ran image dynamically it’s actually got quite a talented chassis. There’s plenty of grip and if you do get hugely carried away there are no nasty surprises, even if you’ve switched off the electronic stability control. Natural balance is good so the Golf never feels like it’s about to suddenly lose grip at either axle. Traction is strong too, so it’s rare to see the traction control light flickering, and as a result the Golf is adept at crossing ground with surprising speed and real ability. That’s true across the range, even the base S models coming with Volkswagen’s traction enhancing XDS electronic ‘differential lock’. The e-Golf and GTE are slightly compromised by their extra weight compared to more conventionally-powered models not carrying around large battery packs, and this makes them slightly less responsive and works their tyres slightly harder than their closest petrol- or diesel-powered equivalents. The GTIs, GTDs and Rs though are genuinely impressive – you get a little more feedback, albeit not the constant stream we strive for, and they can be good fun in the right driving conditions. It’s difficult to recommend a diesel Golf these days, perfectly capable though the cars themselves remain. VW has undoubtedly cleaned up its act and the latest diesels are highly unlikely to throw up the same issues as their immediate predecessors when tested in a lab or on the road, but opting for one of the (admittedly frugal) TDIs does now carry a higher social (and thanks to government meddling, economic) penalty than it used to. Still, the most frugal Golf TDI, the 1.6 TDI, has an official combined economy figure of nearly 4L/100km – there can’t be many ways of covering large distances quite so cheaply. VW has understandably began to push its electric message, and at the forefront of that is the e-Golf. Electric vehicles have their own counter-arguments too, and are undoubtedly cleaner in some countries than they are in others, but stomach the high initial purchase price and no Golf should be cheaper to run. The petrol and diesel Golfs are generally frugal in their own right though. Models badged BlueMotion should be least expensive to run, and most petrol models fall in the 5.6-4.7L/100km range, with diesels adding around 28.25L/100km to that. Fuelling and taxing the Golf should be cheap then, its always strong re-sale value offsetting any additional purchase cost it demands over its mainstream rivals, while insurance, finance and leasing rates are also predictable and affordable. Fixed price servicing is offered, too, though the Golf’s three-year, 96,560-kilometres warranty isn’t that generous these days. The Golf’s interior might lack the flair of some of its numerous rivals’ cabins, but there’s no denying its integrity. The build quality is superb and the materials are mostly of a quality that could see them compete in the class above. There’s a real simplicity to how it all looks and that translates to user-friendly operation. There’s a central touch screen that senses your hand approaching, raising any menus in anticipation, while some models have full gesture control. Connectivity features like CarPlay are available and high-end models use a TFT display in front of the driver rather than conventional dials. Beyond that the Golf doesn’t really offer anything extraordinary in the class it competes in, but then everything it does deliver is beautifully integrated and executed. Space is good front and rear, with plenty of head- and leg room for all. The boot’s a useful size and shape, too, with a double floor that lets you raise the height (and create an underfloor cubby that’s big enough to store the parcel shelf when it’s not needed) and also create a flat floor with the seatbacks folded. How do you sum up a design as familiar as the Golf’s? Some might use the word “boring”, and it’s true that there are plenty of rivals offering more intriguing shapes, but pragmatically few of the Mk7 Golf’s rivals will age anything like as well and even fewer can trace their family lineage so consistently back through the decades. Instantly recognisable, the Golf’s never been too radical a looker and this one is no different. It’s a handsome car though, the bold crease under the door handles and neatly detailed front and rear lights are nice touches. There are even some surprises; the designer’s playfulness is apparent in those headlights, where a couple of VW emblems form part of the unit. GT and R-Line models really up the visual appeal, adding more sporting looks and bringing bigger wheel options.